Genocide is not too strong a term for what is now happening in South Dakota. The huge, shocking violation of legal and human rights being carried out by the state is tantamount to genocide against the Native American nations, the Lakota, Dakota and Nakota Sioux, residing within its borders. It is the abduction and kidnapping by state officials, under the cover of law, of American Indian children. 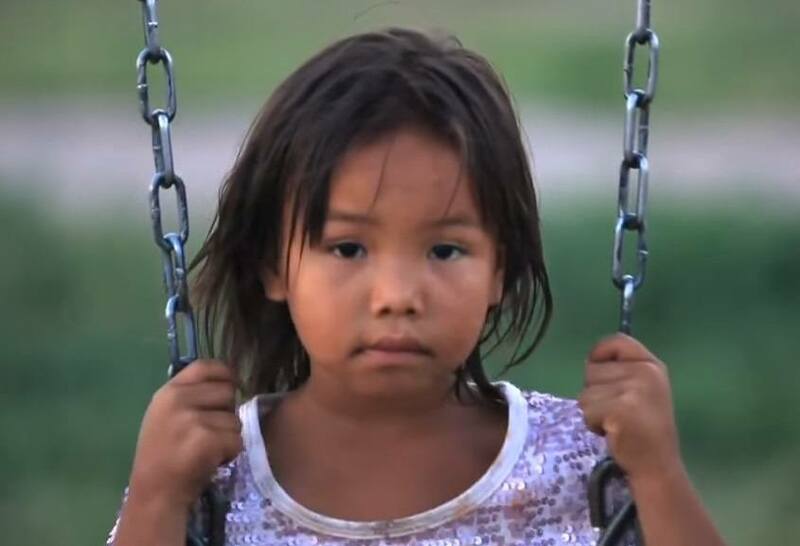 South Dakota is committing blatant and flagrant genocide against the Sioux people by transferring Indian children to white homes, and also amid allegations of sexual abuse and drugging of Native children in DSS foster care. This is a most serious case of ethnic cleansing. How sad and pitiful! People just can't get it through their thick "PEA BRAIN HEADS" that NATIVE AMERICAN PEOPLE" WERE On USA soil long before anyone else. EVERYONE, LEAVE THE NATIVE AMERICANS ALONE!! I doubt this will be allowed to be posted because I offer another side... or at least a question.... have you actually reviewed all the case files? Ok, you found one that "says" she wasn't allowed to present evidence. What the "journalist" here doesn't tell you is that the South Dakota reservations rank #1 in the nation for poverty. They have massive drug and alcohol problems. The suicide rate is through the roof. Finding qualified foster care among native Americans is very difficult, but from my experiences always done first. It is next to impossible for a loving white family to adopt a Native child all because their skin is too light. Yet many children are kept on the reservation, with family, with foster parents, and will experience the worst of poverty, the constant pushing of drugs and alcohol on them, the high prospect of getting raped if they are female (by other natives on the res), and the high likely hood of suicide. Those on the reservations who try to rise above the poverty are put down by their family and friends there for acting "too white" by starting a business. I know this first hand from my own family members who started a business on Pine Ridge. Yes, I have family on the reservation. You want to help? Go there. Spend money there. Spend time there. Help people. Do something. But don't condemn these children to a slow death on the reservation. I've spent time at the Ridge, on Rosebud, and other reservations in the state. This is no place for anyone to live, certainly not children. But, you've Failed to tell us How We Can Help! Provide a link, suggestions, or Something...Please. What legal action is currently being taken? I there a legal fund I can donate to? If so, and no offense, would there be a way I can look up if it's legit? I began learning about the attrocities of this type of genocide against the Native Americans a few years ago, that began in the late 1880's and for a brief time thought it no longer happened after the mid 1900's. However, because of all that I'd learned that happened to the children at the "schools" and the attitude of "Kill the Indian, save the child. ", I have continued this quest of reading, educating, and reporting what I learn. I am irate with all that I've learned and irate to find out that nothing has changed. What all happens to the children scars them for life, not to mention the hearts of the families who've had their family members stolen from them. This also occurs in Canada. Friday night, I watched a video recorded of this very type of event unfolding in a hospital room, in horror. This young mother tearfully and with her heart breaking was being forced to say goodbye to her newborn baby girl. It was being recorded by video by her father, in hopes of getting word out for help and to record the events in real time. The mother was not a drug addict or alcoholic and had done nothing wrong. She'd been breast feeding the baby since it was born 1-2 days before. It was happening due to the circumstances in the article. I watched in horror, deeply saddened and in tears, as I watched law enforcement and child services coming into the room to remove the child. While the officer allowed the mother to collect herself, to a degree, and family members tearfully said goodbye, child and family services were rushing the process along. I sat helplessly watching the deputy take the baby and walk out of the room with family services and walk away from the room. The father continued to video what was happening in the room with griefstricken family members. I felt I was in that room too. The laws must ultimately and permanently change. It is unbelievable that this is still happening. I've seen it with my own eyes and know it to be true. Thank you to the journalist for the care and compassion of writing this article and to the publisher for printing it. I've Twittered the article and shared it on Facebook. it's a fact that the state gets paid for every child taken.. They get paid by the government and what money they do not use in a year goes back to the government. So the corrupted CPS picks on poor families that cannot afford to protect themselves..
Also..now get this...They get paid double. That's right double for Indian children. Someone needs to step up. Have the Indians not suffered enough. Shame on them..they supposed to be protecting children instead they and ruining their lives all for money. I hope they are jailed their whole lives ..and the judges who let it happen. same in Canada...it is so very heartbreaking when you hear mother's stories!!! yes and they can get away with it very easily. in Canada if you have any kind of criminal record and they take your children away you CAN'T get them back!!! now tell me if that is fair. who hasn't committed a petty crime as a youngster, maybe stealing, breaking a window, punched someone in fight, etc., but grow up into community helpers. a friend or should i say enemy can make accusations and you will never get your children back. does this happen in white communities? IT SURE HAPPENS HERE IN CANADA. the thing is that some people are paying off their mortgages in this fashion. while parents are crying to get their children back. it is a system, a plan to kill the indian again....take the children away so that they don't learn their culture, now you get brown white children. All parents need to file complaint on state workers the supervisors for misappropriation of state funds. The workers involved in malicious prosecution on case where the state seeks to terminate parental rights on false allegations, proceeding case without merit. The state can fraudulently obtain federal funds for these children placed in state custody, or obtain funds through administrative child support orders from working families. Actions of malicious prosecution , denial of due process parents provide the name of the state office, provide the name of the case worker , provide the name of the workers supervisor.Include the details of the case the court case the location ,the allegations , provide the detail that the child and or children were removed before allegations were ruled substantiated or unsubstantiated. Civil right violations of due process, Obstruction of justice by state official.Misuse of state official authority, court and state records, state official intent to defraud the federal government. Really no mention of the alcohol and drug problems on these same reservations? How about the domestic abuse problems or the fact that while making up 9% of the population Native Americans make up almost 80% of the unemployment? I know its policy to place with a Native family before other races, I would be curious to know the proportion of Indian families applying for foster children vs other races; also couldnt the author provide statistics for why they were removed? Actually I am a social worker who was a native american in South Dakota, raised in a "white" home. Maybe we should talk about the reasons why I was removed from the home and given a better chance to survive and make something of myself. I do not see color and do not feel like I was kidnapped or attacked by being give to a "white" home. My "native american" home neglected me. I am thankful for the home I was raised in. And its the very reason why I am a social worker. Instead of spending more time complaining about the children being removed from the homes let's look and FIX why they are. Take the seeding away from their people and culture and Colonize the children into white families and they will kill the tribal nations. It's another form of Native genocide of the minds of the Indian people. Memories of the past Government Indian Boarding School. I grew up in a area with a large Indian population, and had many good Indian friends. The fact of the matter is there was a problem, at least in my area, with how their culture developed. The Indian population in my area had severe issues with drugs and alcohol. If you wanted to get drugs as a adolescent, you went to the "rez". They have a very similar problem occurring in their culture to the black population in this country, their culture of drugs, theft and crime tarnish the reputation of an entire race of people. It is a terrible thing, but only a change coming from themselves, and a bit of time will fix this.